I’m down to my final few apricots left from the Peach Man. I bought a huge box of ripe apricots from our local fruit stand that needed to be used right away. 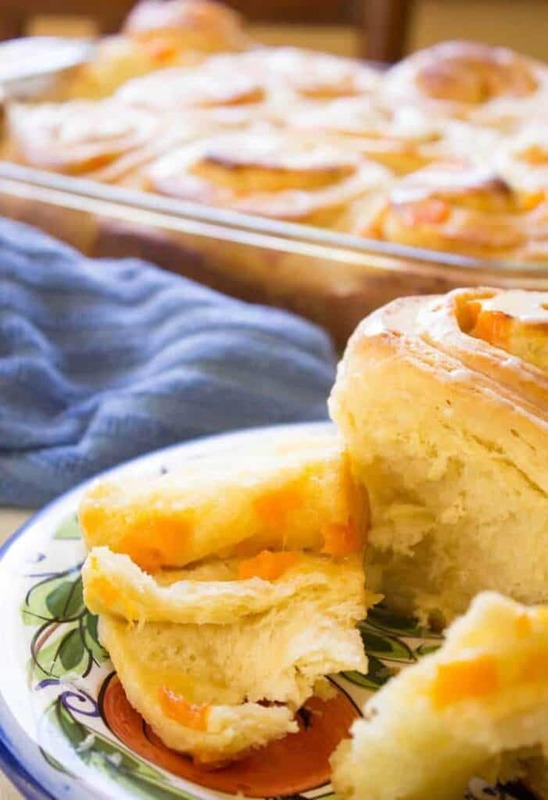 I made homemade apricot jam and I have made these apricot sweet rolls three times! The kids are in sweet roll heaven! For the first batch, I made an apricot filling with sugar, cornstarch and fresh cut apricots. When I went to roll up the dough I had nothing but a giant mess. The filling oozed out the sides and all over the counter. Then I cut the rolls….more mess. The end result was a delicious sweet roll, but I lost half the filling in the process. I started batch two the next morning. This time I took the fresh apricots and cut them up into teeny tiny pieces. That was it. Once the dough was rolled out, I brushed it with butter, sprinkled it with sugar and then sprinkled on the fresh cut apricots. Rolling the dough was just like rolling up cinnamon rolls; perfectly easy and absolutely beautiful. The kids thought the rolls were delicious! The third batch was simply because I still had a handful of apricots left and this time I just couldn’t resist! I used my cinnamon roll recipe for the dough and then just added a very light sweet drizzle of icing at the end. It’s a good thing I’m out of apricots….I might be tempted to make another batch! With mixer running, continue adding flour 1 cup at a time. Roll out into a 12 x 18″ rectangle. Sprinkle sugar over butter and then sprinkle cut apricots. Roll dough and seal seam. Cut into 1″ slices and place in a buttered baking dish. Perfect for breakfast or for a mid-morning snack. Cut into 1" slices and place in a buttered baking dish. Mix glaze ingredients together and pour over baked and cooled cinnamon rolls. I love sweet rolls, but I never thought to use apricot. Looks so good! These sweet rolls look so delicious! I especially love that drizzle shot 😉 I’ve never baked with apricots, but the next opportunity I have to work with them, these rolls will be at the top of my list! This was my first time baking with them too. Usually I eat them fresh or make them into a jam. 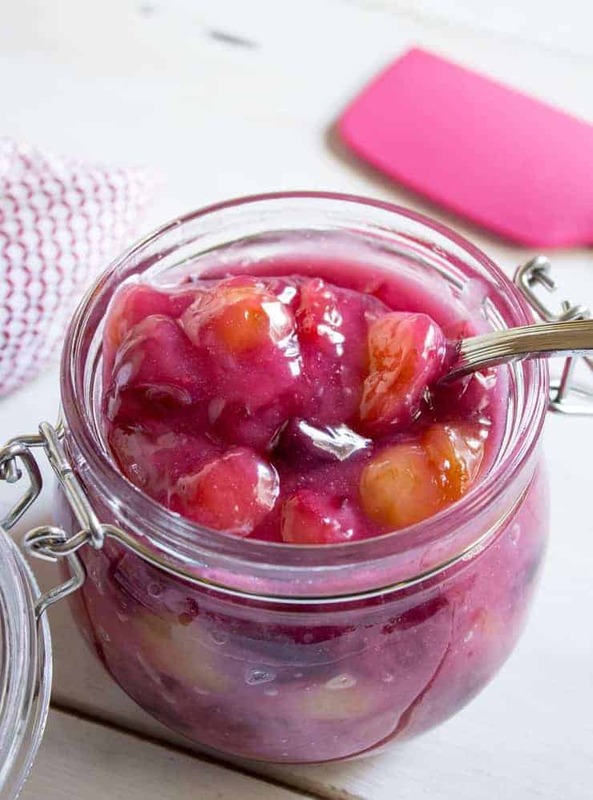 Wow, way to put this in season right now fruit to use! My kiddos LOVE apricots. Obsessed. I’ll make these when I get back from New York City next week. I’ll let you know how it goes!!! Have a great week Kathy. Your kids must think you’re the best Mom ever! lol! Sweet rolls are my weakness and I could eat that whole batch of apricot ones all by myself. I’ve got to go find some apricots at the store so I can make these over the weekend. Without the kids, I could easily eat the whole batch by myself! Hey Kathy – my mouth is absolutely watering over these sweet rolls! What a great use for fresh apricots. Will definitely have to try these rolls. I can see why you made three batches. One is definitely not enough! I love this kind of rolls, anything sweet made with yeast actually, I so have to make them. I hope you do…let me know how they turn out! Who doesn’t love sweet rolls? And they look so divine. I have recently brought a batch of fresh apricots, and now I know what I am gonna do with that! Wonderful share, Kathy. 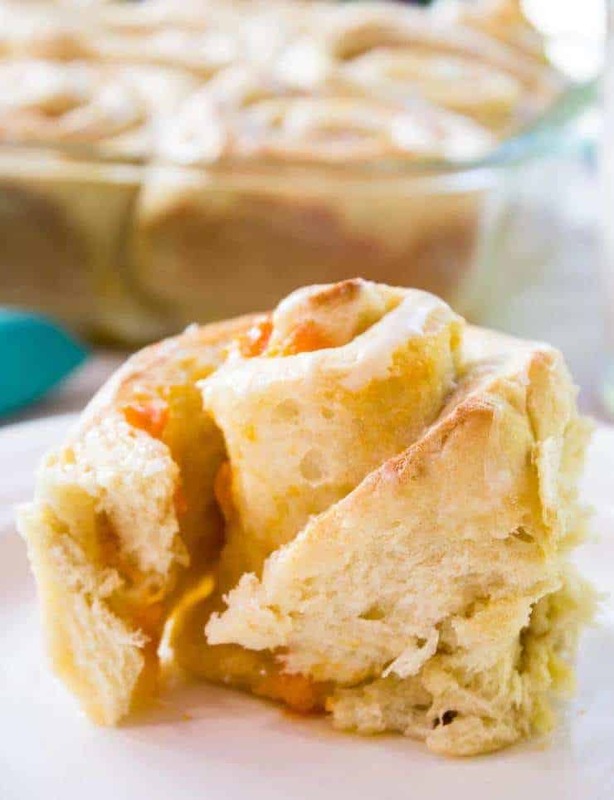 Since fresh apricots aren’t available all year long, it’s best to make these rolls while you’ve got some! Trust me….they are really yummy! Sweet rolls are one of my absolute favorite treats to make! I’ve never done them with apricot – I love it! This looks gorgeous and delicious. Can’t wait to try this out. Bookmarked! I’ve been wanting to make sweet roll from some time now! 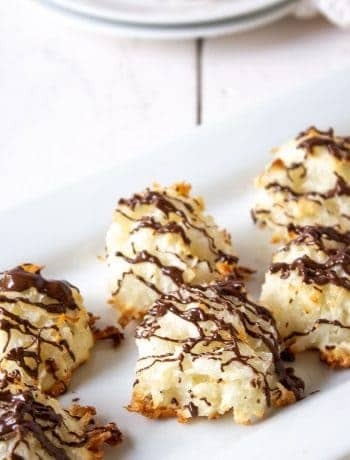 Your apricot ones look perfect and delicious! Thanks for inspiring me to make them! You had me at sweet rolls, Kathy! I seriously love a good cinnamon roll, and you’ve adapted this one to use fresh summer fruit…so I think I’m in love now! 🙂 If I send you some apricots, will you send me back part of the 4th batch? There’s no guarantee if I make another batch that they would last….things disappear rather quickly around here! OMGee Kathy! You’re killing me with these! 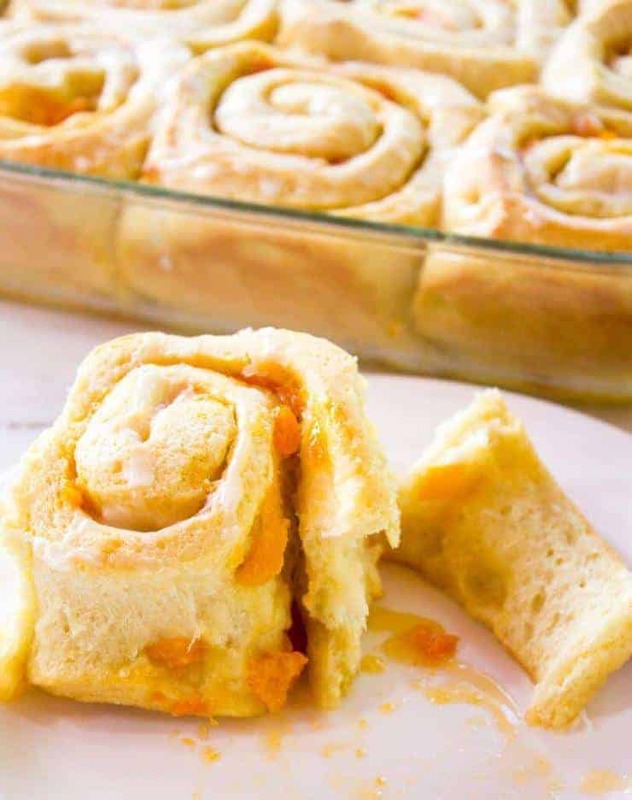 Apricot are a favorite at our house, so these will need to be on the menu soon! 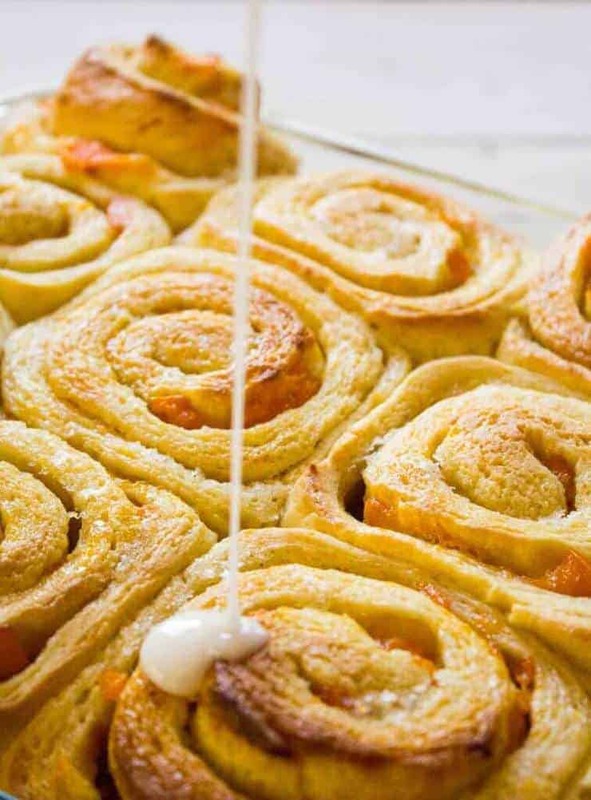 If you love apricots, you will love these sweet rolls! Kathy this fresh apricot filling sounds divine!! I love sweet rolls, the addition of apricot sounds wonderful! 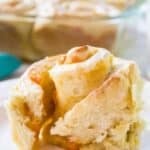 This sweet roll recipe is quite versatile. Oh good lord, sweet rolls are my weakness and these look beyond delicious, Kathy! Fresh apricots in sweet rolls?! OMG. NEEEEED!! I’m drooling over here! Pinned! Cheers! 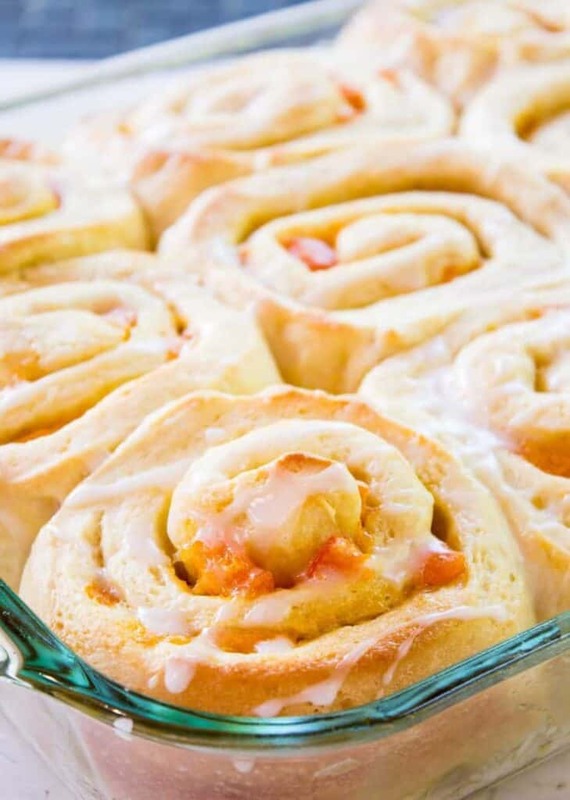 I agree….perfect summer sweet roll. I haven’t made sweet rolls in a long time! These look fantastic! Pinned! Yum, I just saw fresh apricots in my store and wondered what I could do with them. Looks delicious! It’s the season for apricots! And these sweet rolls are just the thing to make with some! I’d be very happy to take that next batch off your hands! 😉 Oh my….these are fabulous! I have to admit, I’ve had absolutely no willpower with these around! You certainly made good use of those apricots, Kathy! I love a good roll like this! Your kids must have been so happy to have all those goodies around the home 🙂 Pinning! The kids were quite happy!